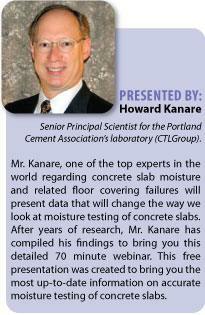 In a newly released webinar, Howard Kanare of the Portland Cement Association’s laboratory presents breakthrough scientific data that seriously challenges what we have believed regarding traditional methods for moisture testing of concrete slabs. For a current listing of times and dates, please check here. 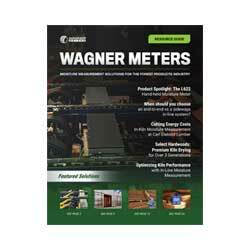 Wagner Electronics has just released this comprehensive webinar entitled “Measuring Moisture in Concrete Slabs”. This webinar is presented by Howard Kanare, Senior Principal Scientist for the Portland Cement Association’s laboratory, CTLGroup. 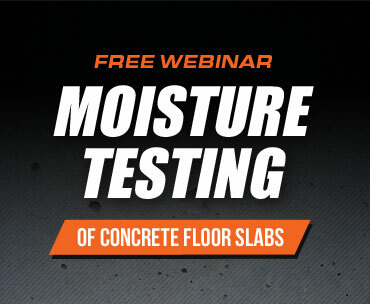 This free presentation was created to bring you the most up-to-date information on accurate moisture testing of concrete slabs. This webinar is available by invitation only and seating is limited. Please contact Wagner Electronics by email at rapidrh@wagnermeters.com or call 541-582-0541 to receive your invitation to this ground-breaking webinar.